Turn signals would not blink and indicator on dash would not light up, I check the fuses and all of them are good, then I noticed 2 wires hanging near the tail, the 2 wires that go into the flasher relay ! Previous owner ripped off the relay, will replacing it solve this issue ? If they tore out the flasher, what else did they damage? Has that bike been stolen at some point? 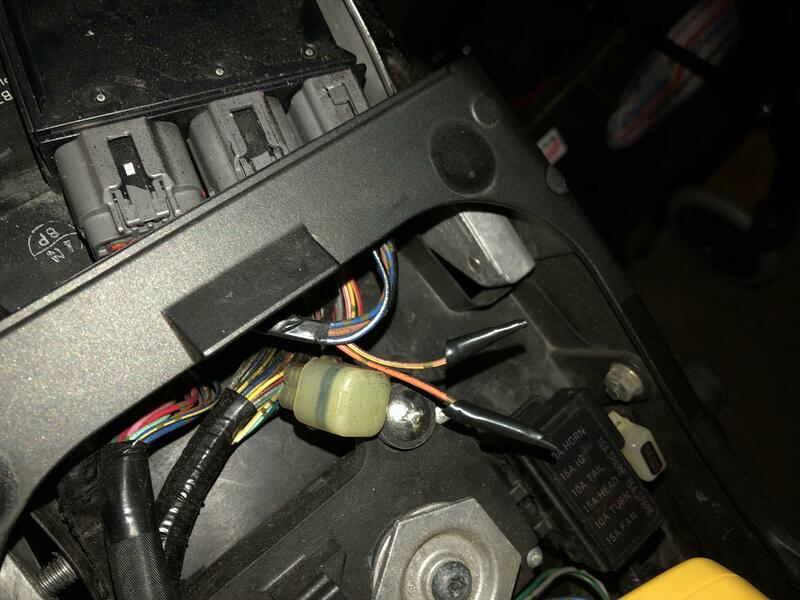 Bike was repossessed, bad owner did not take care of the bike, hooked up the TST relay and blinkers work !! I'm glad it was that easy to fix!